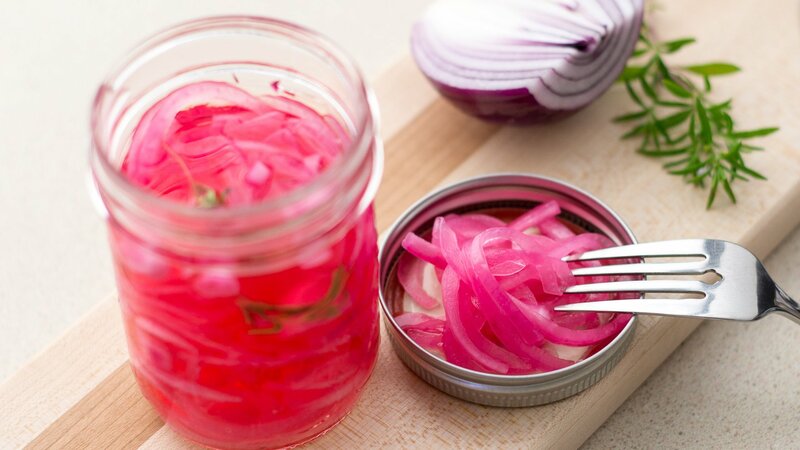 Pickled onions are easy to make and gives an extra punch of flavour to any salad, burgers, subs, tacos, and the list goes on and on. You can enjoy it in a matter of 30 minutes and store in a glass container in the fridge for weeks. I made this for my beet and potato salad recipe here, it really balances and cuts through the creaminess. 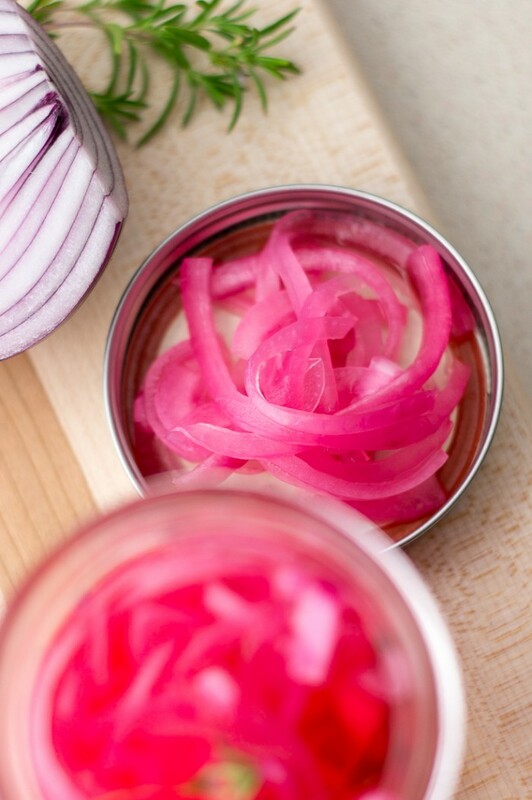 In a small glass jar, place the onions salt and pepper and tyme. Add white wine vinegar until just covering the onions. Cover and refrigerate overnight before using. 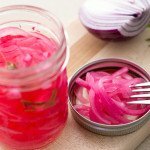 Can you replace for red wine vinegar? I already have 4 other kinds of vinegars, but not white wine! Yes you can. I would maybe add 1/2 teaspoon of sugar, since white wine vinegar is sweeter than red wine vinegar.